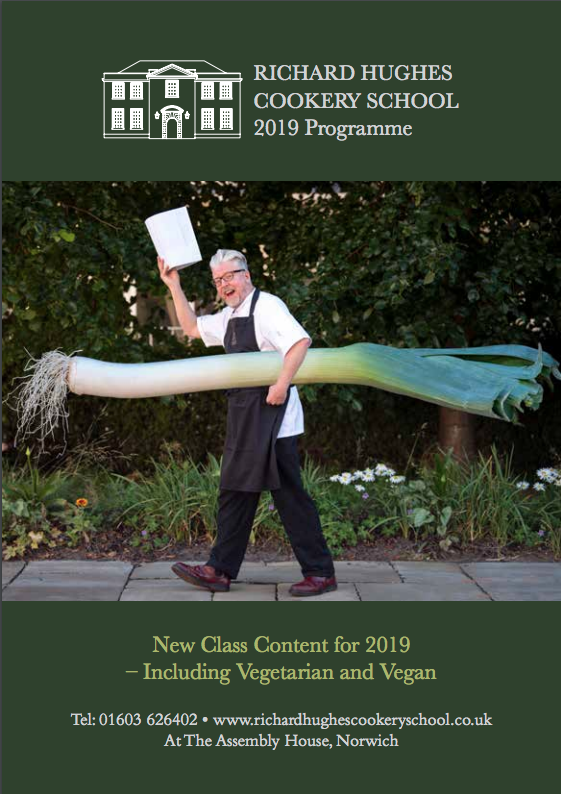 We are absolutely delighted to tempt Richard out of Benedicts’ kitchen and into the Richard Hughes Cookery School as a guest tutor for a series of classes! Richard will be presenting his very own Thursday Morning Kitchen, teaching some of the techniques that have helped put Benedicts on the culinary map and turned it into a destination restaurant in the UK. Norwich boy Richard has travelled and worked his way through some of the most amazing restaurants and countries across the globe and worked with some of the best in the business, from Michel Roux Senior at the three Michelin-Star Waterside Inn, for Günter Seeger in New York and Kevin Thornton in Dublin. On his return to Norfolk he was head chef at Galton Blackiston's Morston Hall. Richard opened Benedicts with his wife Katja in June 2015, which has since been named in The Times Top 100 Restaurants in the UK, Square Meal Top 100 and EDP Norfolk's Best Restaurant 2016. In 2015, Richard won BBC2’s Great British Menu and returned two years later as a veteran judge. And to top it all, he’s a really great bloke and friend to the cookery school! These classes are sure to sell out fast, so grab your place quickly!